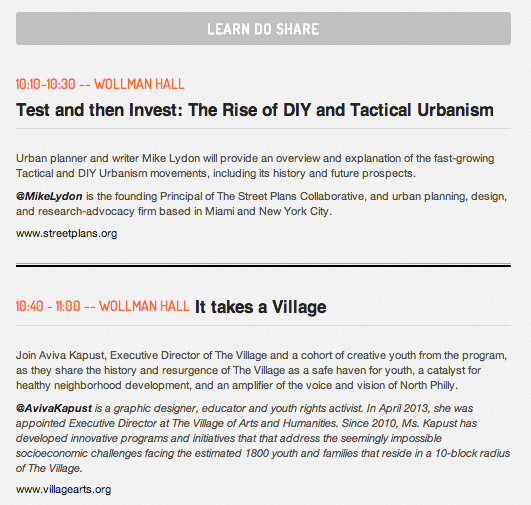 We're pleased to announce the theme for our NYC event is DIY Urbanism. Big thanks to all the volunteers, participants and speakers who made learn do share NYC awesome. And a very special thanks to Squarespace and the New School for supporting us! See next year. 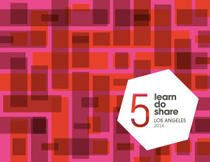 learn do share heads to London on September 5th & 6th for more details click here. Learn Do Share (formerly known as diy days) returns to the New School for a day full of talks, workshops, labs, hacks and networking. The event is focused on how storytelling, play, design thinking and creativity can be harnessed as an engine for social innovation and civic engagement. Join us as we explore how local communities are embracing DIY culture to change their neighborhoods. Every year hundreds of grassroots projects are initiated in an effort to reimagine and re-create the city. From transportation to health to education to disaster preparedness, citizens are rolling up their sleeves and coming together to design the world around them. At Learn Do Share NYC we’ll explore how collaborative action, design thinking, storytelling, play and technology can be used as tools for civic engagement and social good. CANCELLED – Finding empathy at the edges of polarization. This session explores ways to have civil discussions around challenging topics.